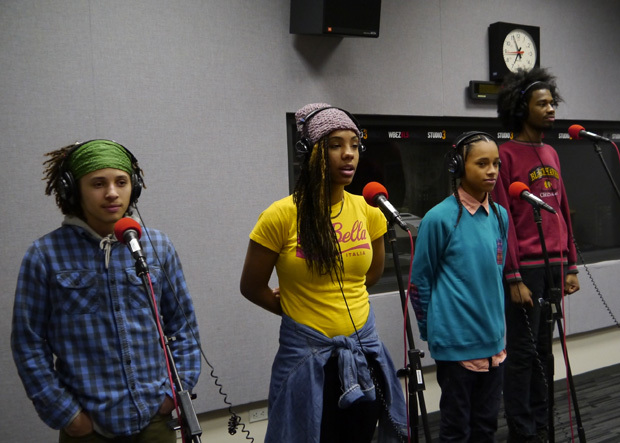 Kuumba Lynx is a team comprised of poets Jahleigh Bullie, 16, Tanya Smith, 18, Sejahari Saulter-Villegas, 14, and Jaremiah Perry, 18. Their first piece, Arizona Politricks, covers violence and education disparities. Their second piece, Someone Like You - I B Watching Yo Tweets, is about how our addiction to social media has desensitized us to Chicago&apos;s current youth violence - creating zombies.